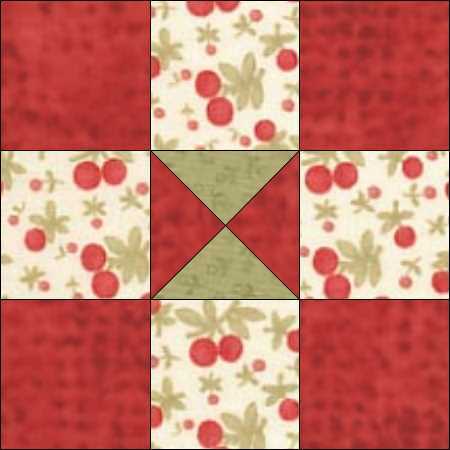 Practical Orchard is a good block to start with as an introduction to the Quarter-Square Triangle (QST) unit as it only has one of them. Download the instructions for the block here. You can find a fully illustrated tutorial to download on our tutorial page for making these units. 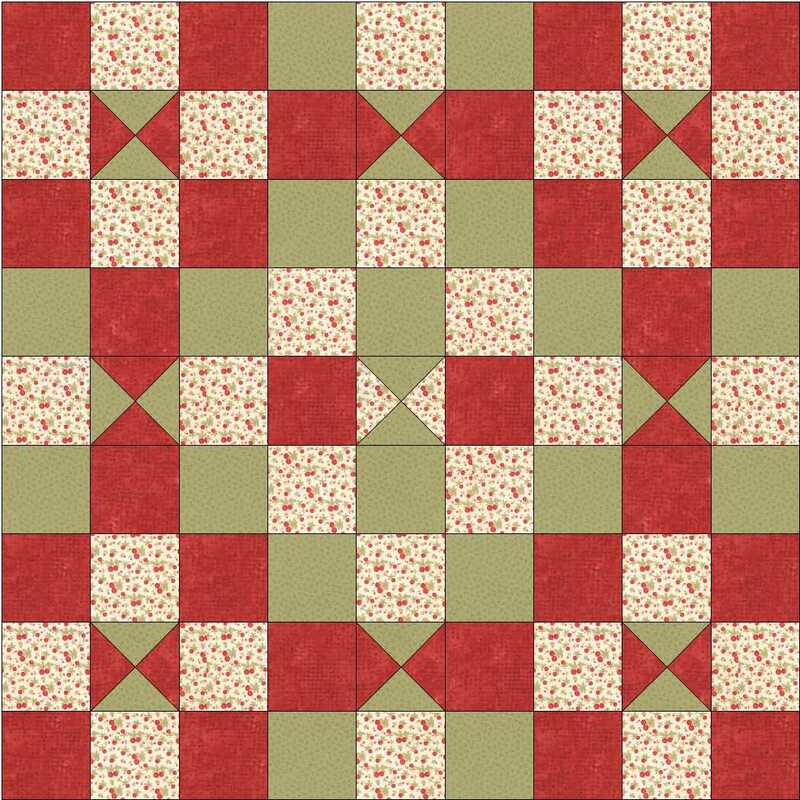 The block set edge to edge on its own is not very exciting but if you mix and match different colourings you can get some more interest into your quilt. 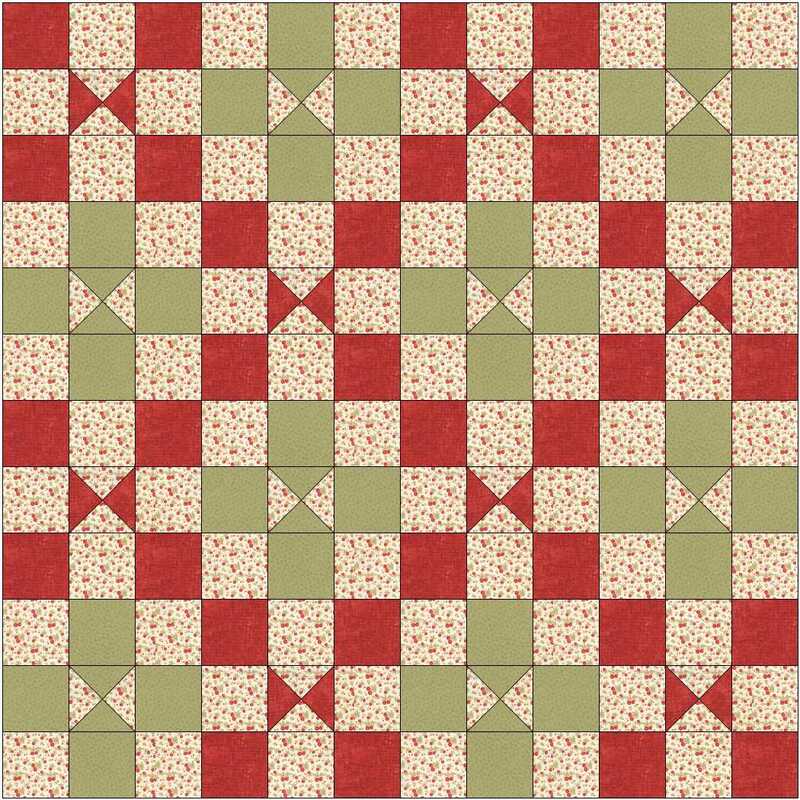 This entry was posted in free pattern, machine piecing, patchwork patterns, tutorials and tagged beginners' patchwork, free pattern, quilt blocks, simple patchwork on July 8, 2015 by Chris.